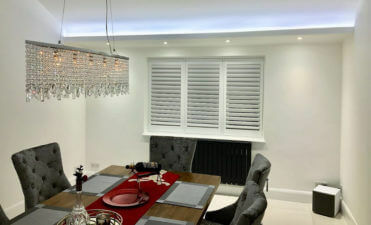 Here at ShuttersUp we take pride in the many ranges of shutters we can offer each of our clients, depending on the type of property they have and their needs. Many potential customers ask us to talk them through the different ranges and the benefits of each, so we are going to discuss the main 6 shutter options we have in our range. Each option can be bespoke made to your window fitting and completed in a range of different styles and finishes. 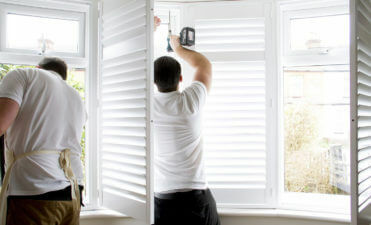 All shutters come with a 3 year warranty. Manufactured from medium density fibreboard this option gives a robust, yet affordable solution. Wrapped in a polyurethane coating this range is waterproof, so are also perfect for bathrooms and areas that come into contact with regular moisture. This range of shutters is suited to standard shaped windows and comes with a choice of 6 white shades which are resistant to colour fading. Made up of LDF shutters and super lightweight ABS louvres and sealed with a waterproof coating much like the Antiqua range. These shutters are spray painted so that they come very close to the finish you would expect from hardwood shutters, making them a more cost effective solution with a fantastic finish. This range is available in 28 painted colours and 20 stains. Created using 3 different hardwoods, the Cuba range is a cost effective, eco-friendly style of shutters which are rigid and light. This range works well with most window and door shapes but has a limited paint finish of 6 white colours due to the way they are manufactured. The Cuba shutters are finished with a smooth spray paint. Manufactured using a hardwood core with an ABS plastic coating, making the Java range perfect for commercial industries and its waterproof qualities make them ideal for bathrooms. 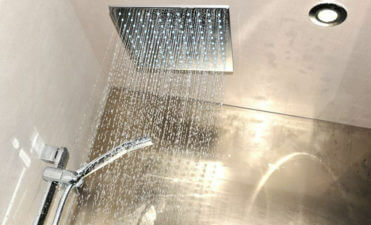 They are easily cleaned and come in a choice of 6 white colours. This gorgeous hardwood range is well known for naturally being water resistant and very rigid. The wood is often used to make rafts and small boats because of this! Featuring a tight straight grain these shutters are ideal for those looking to have a stained finish. 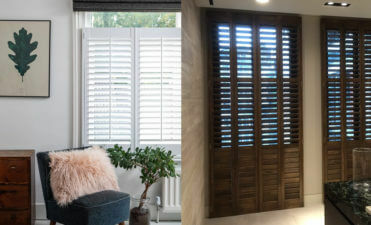 These shutters are great for all environments and great for custom shaping. Can be finished in 11 paints and 15 stains. The Sumatra range is made from white teak which is well known for its strength and stability. Due to being light weight they are fantastic for hanging and put very little pressure on the hinges. These shutters are perfect for paint and stain finish and come with a lovely smooth texture. These shutters can be custom fitted to any shape and finished in 28 paints and 20 stains. Visit our Shutter Materials page for more information about our ranges!